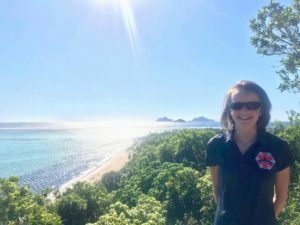 Ending medical school on a high- a WEM elective in Fiji! Being the very last thing at the end of 6 years of studying- my medical elective has seemed like a distant dream away for a long time. I can now safely say that it finally happened and I really did live that dream! As a member of the Edinburgh University Wilderness Medical Society, I was very fortunate to be contacted by Mark Hannaford to help at World Extreme Medicine (WEM) International Conference in 2016. This was a great experience in every way and completely opened my eyes to the endless opportunities combining medicine and the love of the outdoors. After getting over the sheer number of inspiring medics in one building and the initial awe of their experiences I realised I needed to start my journey in this field as soon as I could! It was here that I met Simon Mayer from WEM and discovered his work in Fiji with Dr Joe Rowles – 2 years later I joined their medical team out there. An experience I will certainly never forget and am extremely grateful to WEM for facilitating it. The WEM medical team head out to Fiji on a remote island 2 hours from the mainland for 6 months of the year. It is here that they provide medical care to local residents and staff via a temporary clinic set up in a children’s nursery (see photo). The clinic is open daily but should medical care be required further afield the team have the equipment and resources to deliver pre-hospital care and medevac if necessary. Medical school is obviously vital but learning to be a doctor and deliver care in a pre-hospital setting can’t be taught in a lecture. Seeing firsthand how the team worked efficiently to deliver care in more challenging environments, such as renal colic in a boat on choppy waters, was invaluable. I honestly did not think I could use my brain post finals but was so inspired by this totally new aspect of medicine that I got the learning bug again! The medical team out here is made up of 3 doctors, 2 nurse practitioners and 3 paramedics. Having a medical student out there was a novel experience for us all but I couldn’t have felt more welcome. Alongside the team, Fiji itself must be one of the friendliest countries I have visited so any apprehensions of going to a new environment by myself quickly diminished. Each member of the medical staff are extremely skilled and each have their own individual experience within conflict, expedition or pre-hospital care to bring to the team. Just being able to listen to their professional experiences was inspiring and fuelled my desire to start planning how I could one day get involved in this world. There is a vast array of additional courses and post graduate diplomas available for expedition medicine which can be over whelming when starting out in this field. Getting the opportunity to listen to recommendations from others was extremely valuable and as a result was I inspired to apply for a post-graduate diploma which I will start in January. Hopefully, this course will be an escape once a month from the inevitable relentless shifts starting out as a foundation doctor! As well as sharing on potential future experiences, the team out here were fantastic in taking any opportunity to teach me about the medical equipment required in such environments. It was such an invaluable chance to be demonstrated and practice using the kit taken out on expeditions and I am grateful for getting to do this at such an early stage on my medical journey. The “clinic” opened daily from 7am-6pm. During these hours there was a great variation of primary care and tropical medical presentations. I was able to see my own patients and discuss with others on the best forward plan. These consultations usually came with a language barrier which made communication skills even more important to avoid potentially crucial misunderstandings. Wherever you practice medicine, communication is vital and should not be overlooked. 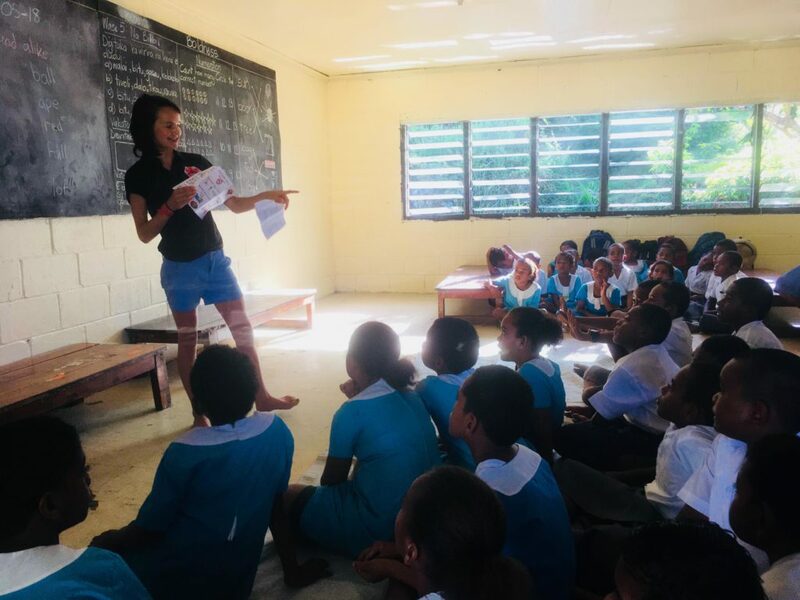 This experience in Fiji reminded me just how important it is to try and gain a comprehensive history even with language difficulties to ensure anything important is not overlooked – a skill I will definitely take with me beginning my foundation years. This elective made me realise how working in remote environments makes you a very adaptable and skilful medical professional. Seeing how the medics coped with the resources they had and come up with sometimes novel solutions to get around potential difficulties was impressive. As well as core medical knowledge on a wide range of presentations, it was great to gain knowledge and tips that I hope to one day use when working in pre-hospital care myself one day. WEM out-reach medical training with Dr Millie Wood. As well as the clinic I was given a fantastic opportunity to take part in public health teaching. After expressing my interest in childhood obesity, and the declining physical activity levels amongst children, Simon initiated a project and linked me up with the local primary school. Fiji has soaring levels of childhood obesity and as a result high rates of adult diabetes. Using international and national guidelines I created leaflets and obtained posters suitable for 5-13 year olds. I felt very welcomed by the teachers at the school and gave an interactive assembly to all 54 children. It was a fun session discussing healthy living, diet and exercise. I gave out the learning resources for them to teach to family and friends. I realise that the childhood obesity epidemic can’t be combated in one short session but it was great to instil a positive way of thinking and I hope that the teachers continue to build upon this. During any downtime we were all as active as each other. 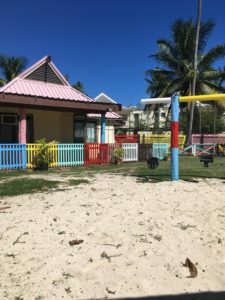 I was relieved to be surrounded by others that also can’t just sit down so multiple water-sports, tennis and “medfit” sessions were undertaken! This was my first experience out in Fiji and it couldn’t have been better. Being amongst so many like-minded individuals and having my first insight to pre-hospital medicine has been totally inspiring and proved this is exactly what I want to pursue. 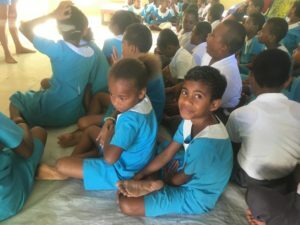 Hopefully, this is the start of my journey in this field and I’m extremely grateful to WEM and all of the fantastic team out in Fiji for kick-starting this! Previous Post Dr Laura McArthur writes about her experience on Sports Relief as the event medic..